You made a right decision choosing Shopify as a reliable platform for running online business. It seems that you're at crucial phase because now it's high time to import products to Shopify with no fuss and unpredictable results. But still, piles of questions cross your mind: how to perform a successful migration? Which tool to use? By means of this article, you'll put an end to your hunting. We'll feature the options that ensure a safe product import, describe their pros and cons. You'll be given a brief guide which reveals how to successfully import products to Shopify with the help of effortless step by step procedure that will lead you to success. Easy to use. The last thing an online owner wants is to struggle against difficulties of a newly launched e-commerce software. Shopify helps you to avoid tiresome launching, ensures quick and easy setup, access to extensive documentation, helpful tutorial guides. What is more, you don't need to worry about hosting because it already takes care of maintaining your site`s servers and software. A brand-new online store is ready to run! Eye-catching design. Whether it's right or not, online shoppers judge from appearances that`s why store's design plays a crucial role in the business performance. Shopify offers a variety of easily customizable, flexible themes that will help to create a unique, recognizable branding. You'll easily find your perfect theme that meets your aesthetic preferences. Mobile friendly. Apart from being beautifully designed, all of the Shopify templates are perfectly optimized for mobile devices. They look astonishingly good on all size screens. Considering the purchasing habits of the latest decade and the rise of omnichannel commerce, this feature is of particular importance for modern store. 24/7 Customer Support. You can always count on a responsive, helpful support staff which you may reach at any time, day or night via email, phone or web chat. You have access to a wide range of live forums, becoming a part of worldwide community. After we have recalled some of Shopify merits, it's high time to answer the most intriguing question: how CAN I import products to Shopify? Directly from another shopping cart. Strictly follow the Shopify's CSV structure recommendations. To ensure a successful import, CSV file structure has to meet the Shopify`s one (make sure you're aware of data size limit - 15MB). 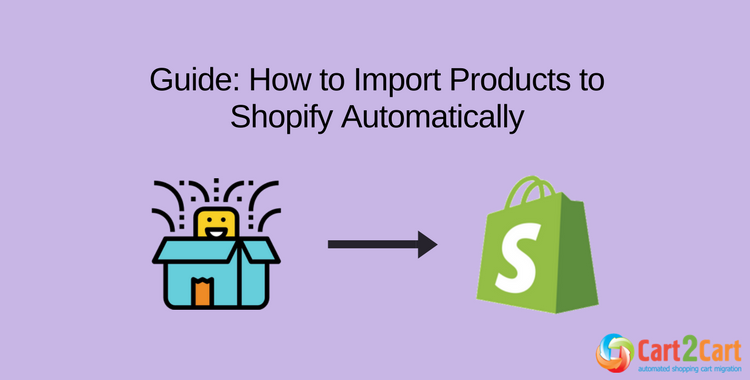 If not, the user has to perform an accurate file fixing according to demanding requirements, otherwise, the Shopify product import may be incomplete or totally failed. However, this can be significantly simplified when using a specialized automated solution which we're going to mention later on in our article. Product relations with other entities won't be preserved. Due to the fact you're migrating products "detached" from other entities (e.g. orders), their associations in Shopify store will be lost. Comparatively, migration of products directly from shopping cart to Shopify without using CSV file as a medium would be much more comprehensible. Firstly, forget about bothering concerning the file structure. Secondly, if you decide to migrate products along with other entities, e.g. orders, customers, it'll preserve all the associations between them.For sure, it`s up to you to decide what way is better according to needs and opportunities. How DO I import products to Shopify? We prepared two basic solutions that hopefully will be of assistance in decision-making! If importing manually, be ready to take a fair bit of time, accurately following the procedure steps. You need to log in your Shopify Admin Panel, find Products button and click Import. Then locate your CSV file, click Open, Upload file. Referring back to previous point, it's of utmost importance to coordinate the file structure with the Shopify`s required one. Automated product import is, perhaps, the most reliable way to ensure a painless (and what`s more important!) successful data switch. However, you'll need to do a profound research for a qualitative, trustworthy tool first. Luckily, you're reading those lines on the blog of Cart2Cart service - most popular automated migration solution. This service allows to swiftly and secure import products from CSV file to Shopify or perform a direct data transfer from 80 shopping carts. In just up to several hours with no technical expertise needed, you'll get the products imported to Shopify accurately. Cart2Cart provides 24/7 customer support for migration-related questions and offers a possibility of free Demo migrations. How to import Shopify products via Cart2Cart works? Go to www.shopping-cart-migration.com. Create a new Cart2Cart account or sign in with Google or Facebook account. If you migrate products from shopping cart directly, choose corresponding eCommerce platform from the drop-down list and provide your store URL. Afterward, download the Connection Bridge and upload it to your WordPress root folder. 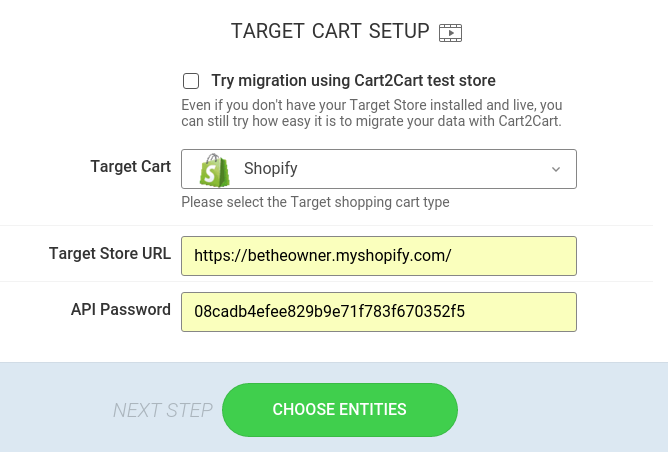 Target Cart Setup: Choose Shopify as your Target Cart, provide its URL and API Password (please follow the provided Instructions). Click "Choose Entities" to proceed. 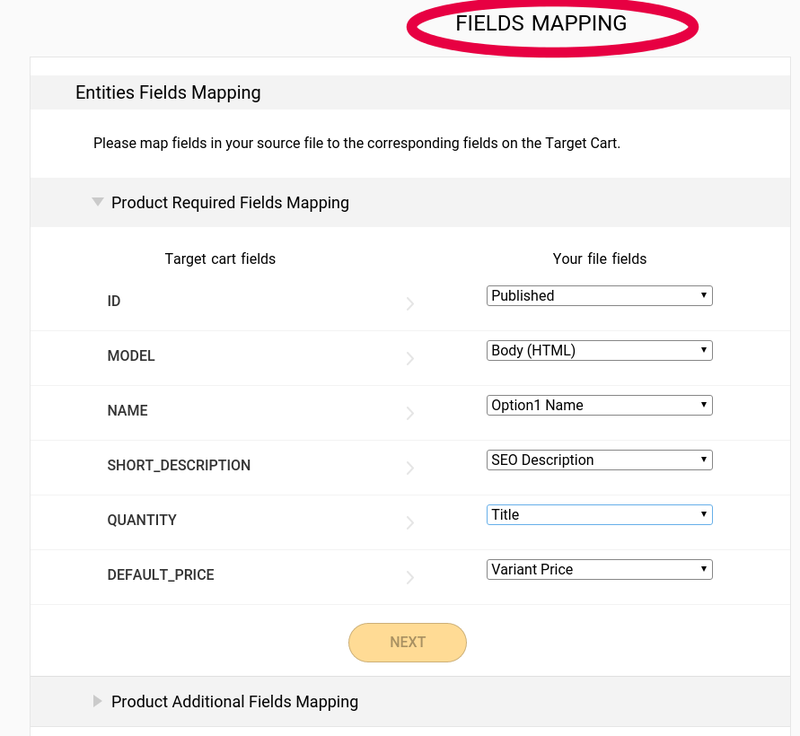 If you migrate from CSV, you need to upload Products, Products Attributes (optional) files and perform Fields Mapping. If you migrate from other shopping carts, just proceed with Free Demo Migration. 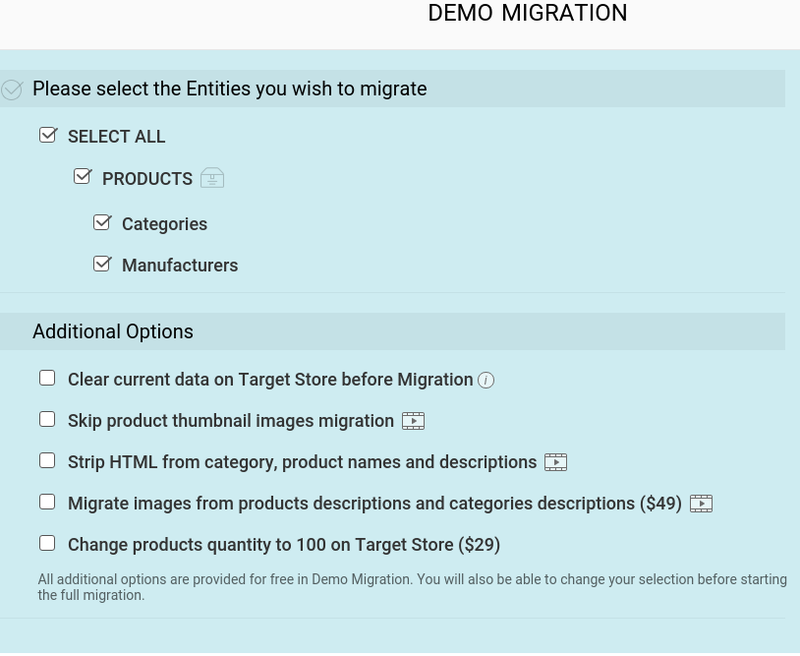 You can start Free Demo Migration to estimate how the tool works. It’ll let you move the limited number of entities to your new live store in just up to 30 mins. After evaluating the results of test transfer, launch Full Migration and move your data to Shopify accurately. A full-scale transfer will begin instantly. That’s everything you need to know how to import products to Shopify. Just pick the way that’s more convenient and follow the instructions above. Start Free Demo migration with Cart2Cart and enjoy a seamless import procedure!